The Niutangjie tungsten deposit is a bedded skarn-type scheelite deposit and is located at the junction between Ziyuan and Xingan counties in the north of Guangxi, China. The deposit is genetically related to a fine-grained two-mica granite within the orefield. Zircon LA-ICP-MS U-Pb dating of the granite yielded a Silurian (Caledonian) age of 421.8±2.4 Ma, which is contemporaneous with the adjacent Yuechengling batholith. Mineralization within the skarn is associated with a quartz, garnet, and diopside gangue, and scheelite is present in a number of different mineral assemblages, such as quartz-scheelite and quartz-sulfide-scheelite; these assemblages correspond to oxide and sulfide stages of mineralization. Sm-Nd isotope analysis of scheelite yielded an isochron age of 421±24 Ma. Although the uncertainty on this date is high, this age suggests that the scheelite mineralization formed during the Late Caledonian, at a similar time to the emplacement of the Niutangjie granite. Zircons within the granite have ɛ Hf(t) values and Hf two-stage model ages of −6.5 to −11.6, and 1.79 to 2.11 Ga, respectively. These data suggest that the magma that formed the granite was derived from Mesoproterozoic crustal materials. Scheelite ɛ Nd(t) values range from −13.06 to −13.26, also indicative of derivation from ancient crustal materials. 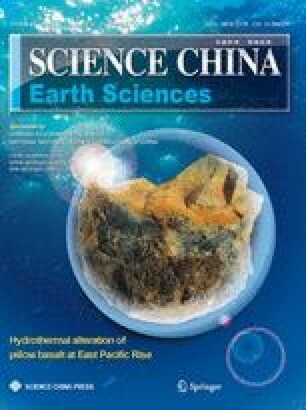 Recent research has identified Caledonian magmatism in the western Nanling Range, indicating that this magmatism may be the source of contemporaneous tungsten mineralization.